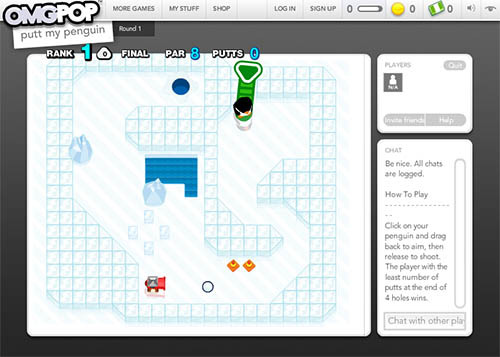 Description Putt Putt Penguin is one of many multiplayer games from OMGPOP. Enjoy the golf action by yourself or play against someone else. Controls Click with the mouse and drag to launch your penguin in your desired location. I like putt-putt games. This one is well made. But it could have be perfect with some nice music though.